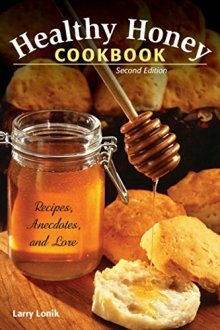 "Healthy Honey Cookbook", by Larry Lonik, is phenomenal. I love reading about different ways of being healthy without the pills and chemicals. The recipes are easy to follow and the ones I have tried so far turned out fabulous. The lore and anecdotes added in just made me smile. Mr. Lonik has great wit and knows his audience well. Honey has all the sweet tastes and none of the bad side effects of many other sweeteners. I recommend all who are interested in using honey as a cure all, for almost everything, to buy this book. Mine is staying in the kitchen!